From Nancy Bush's Estonian Lace workshop which I took a couple of weeks ago. 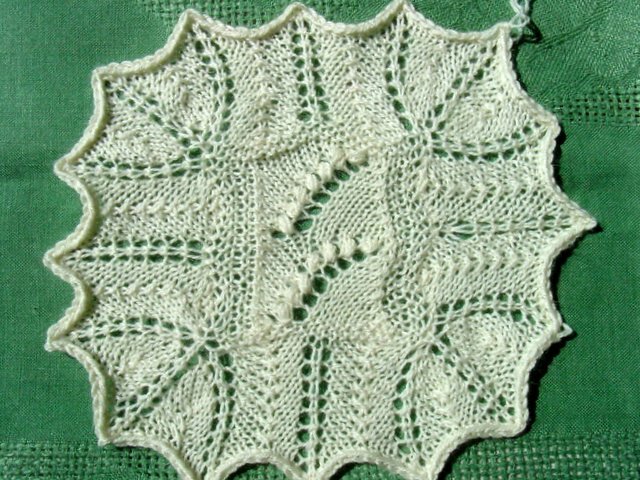 The sample was knit in Joslyn's Fiberfarm Twinkletoes natural sock yarn (wool and mohair) with size 3 needles, and measures about 6 inches across. 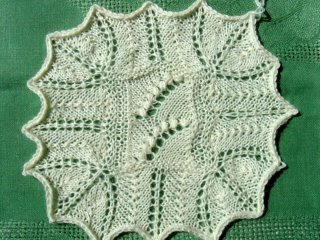 A stitch called a nupp is called for in the lily of the valley flower section. Bound off with double yarn.